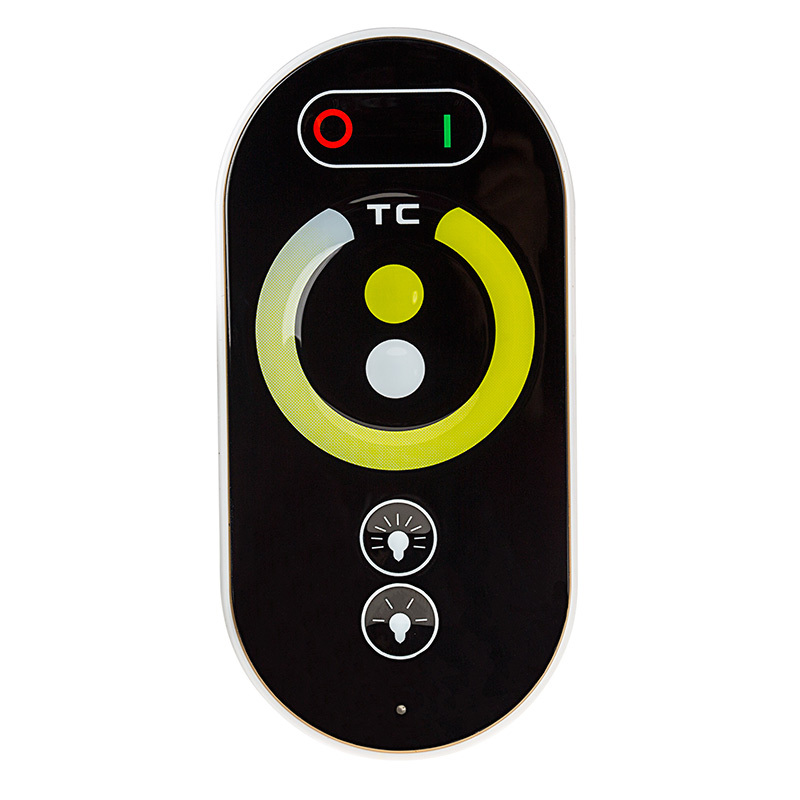 Variable Color Temperature LED Controller - Wireless RF Touch Color Remote - 6 Amps/Channel: 360° View. 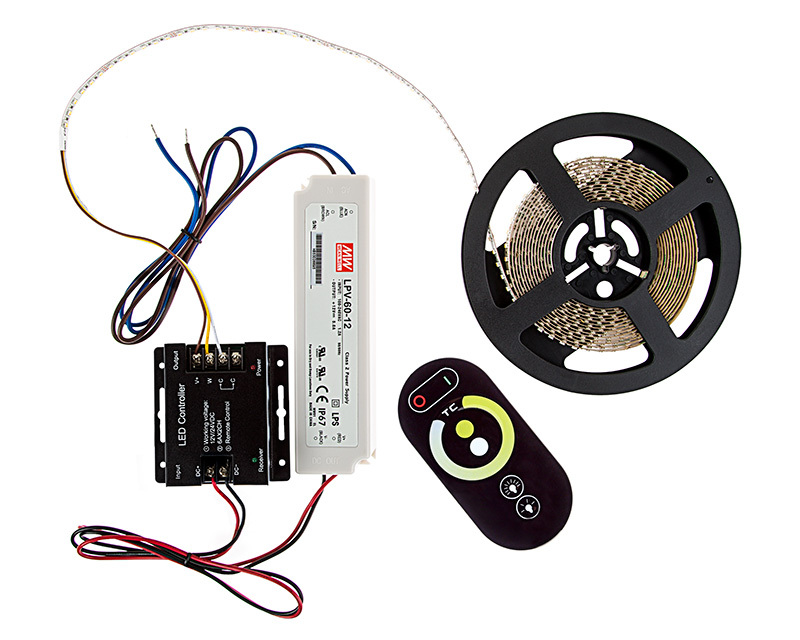 Use this tunable color temperature LED controller with wireless touch-color RF remote to control your tunable white LED light strips. 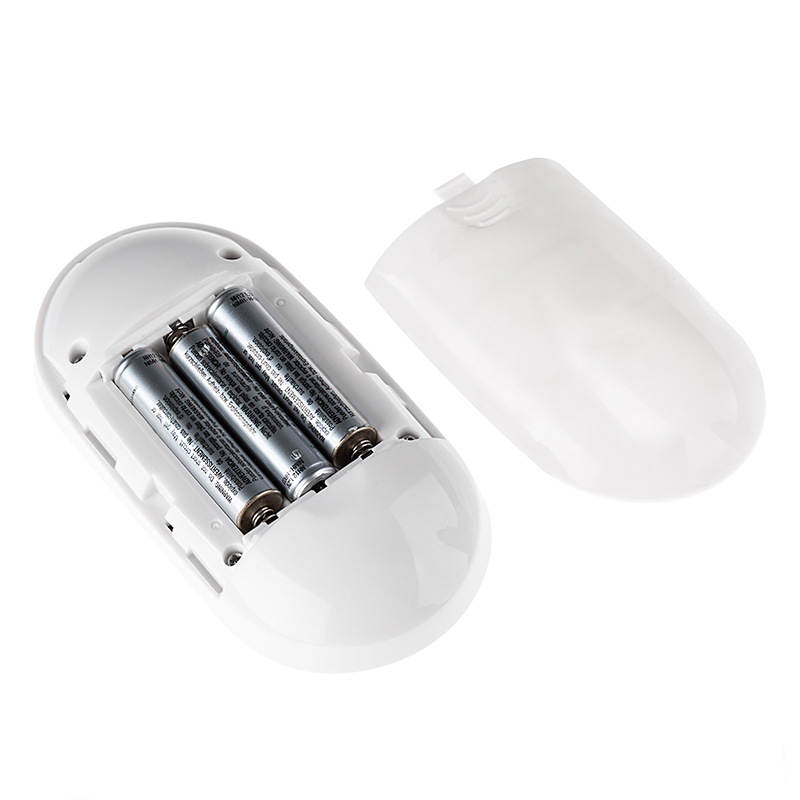 The remote is completely touch activated with a temperature control wheel for direct, fine-tuned white color temperature selection. 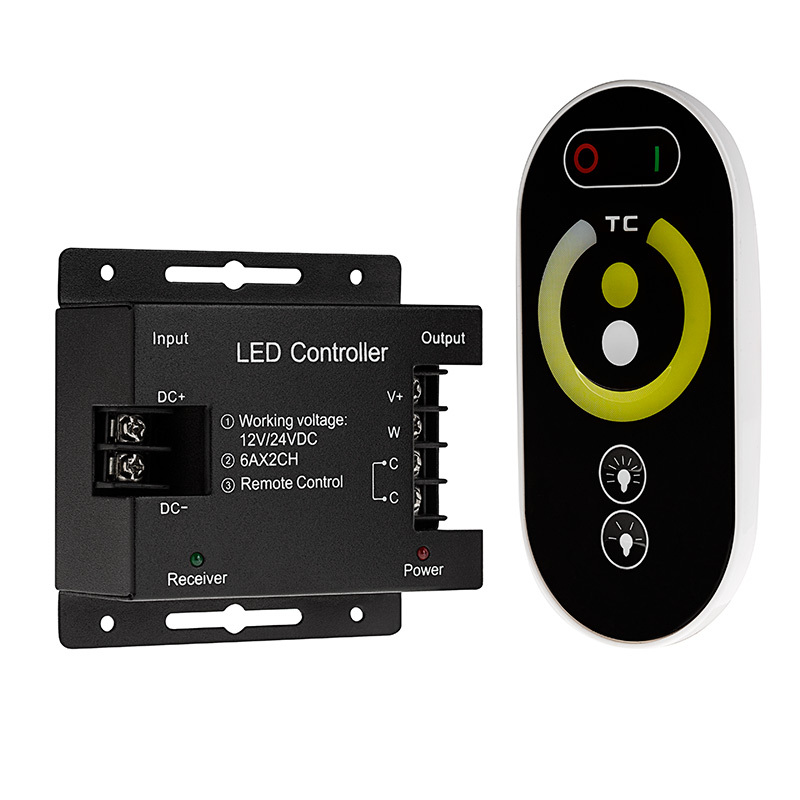 The touch-color remote also has power, brightness control, and cool/warm white selection touch buttons and can control your LED light strips from up to 65' away. Power-cycle mode retention allows your light strips to return to the mode that was selected before it was powered off. 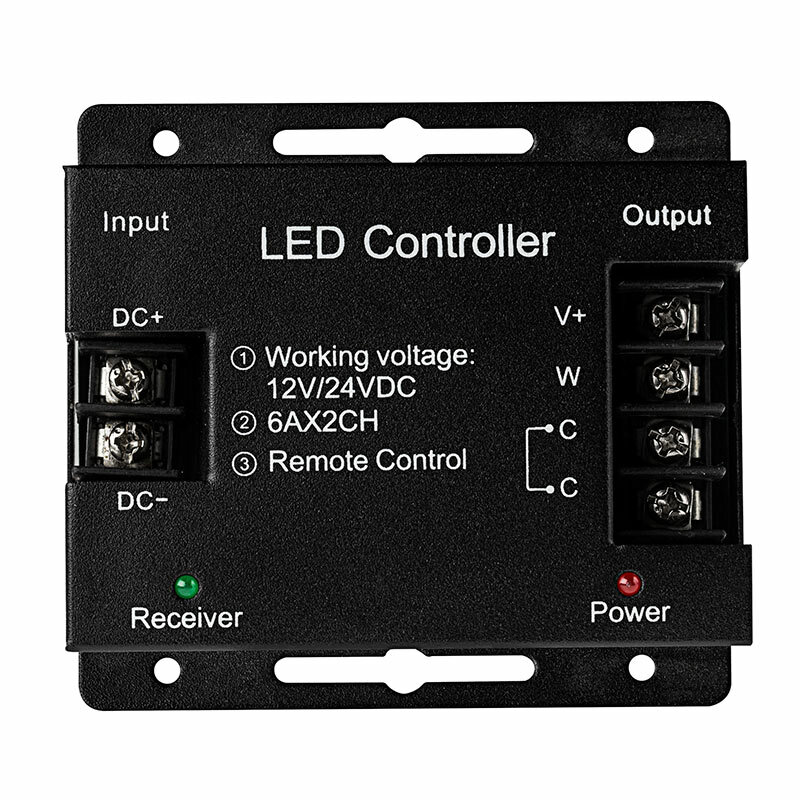 The polarity-sensitive controller has 2 channels with a maximum load capacity of 6 amps per channel and is compatible with LED light strips that operate within a 12-24V DC range. Red and green lights on the controller let you see when it is receiving power and signal from the RF remote. 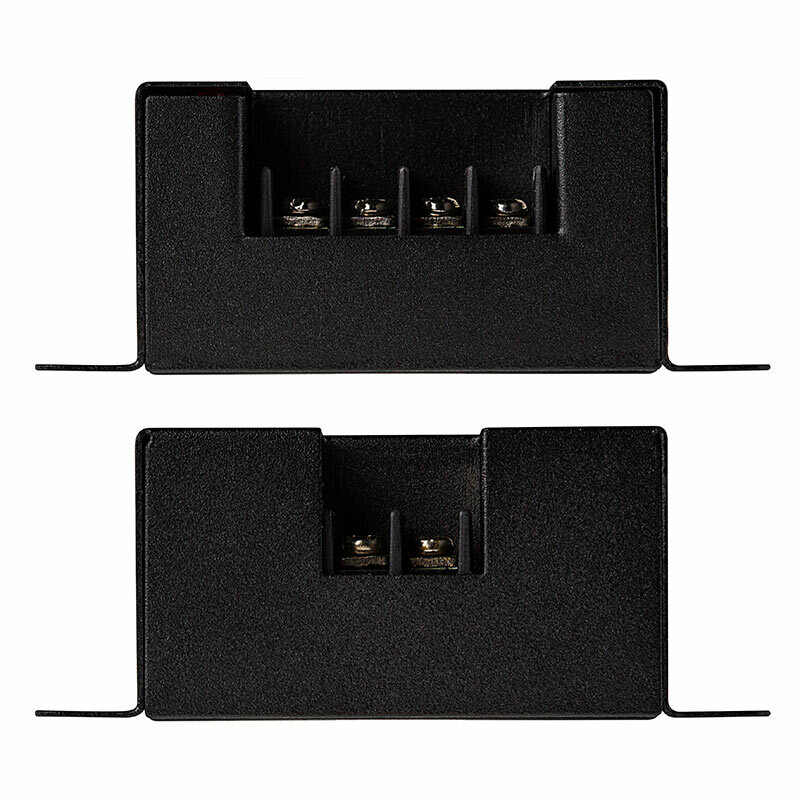 Screw slots allow for permanent controller mounting. Remote requires 3 AAA batteries (not included). I used the NFLS-DW120-VCT lights with LDRF-VCT6 wireless controller and LPV-35-24 power supply. Inside the ALP-SR-1M tracks with frosted lense. This was a vanity light project where I ran 1strip down each side of the mirror. Everything was really easy to wire, and the lights are very bright on high. With this controller you can do white or yellow or anywhere in between. 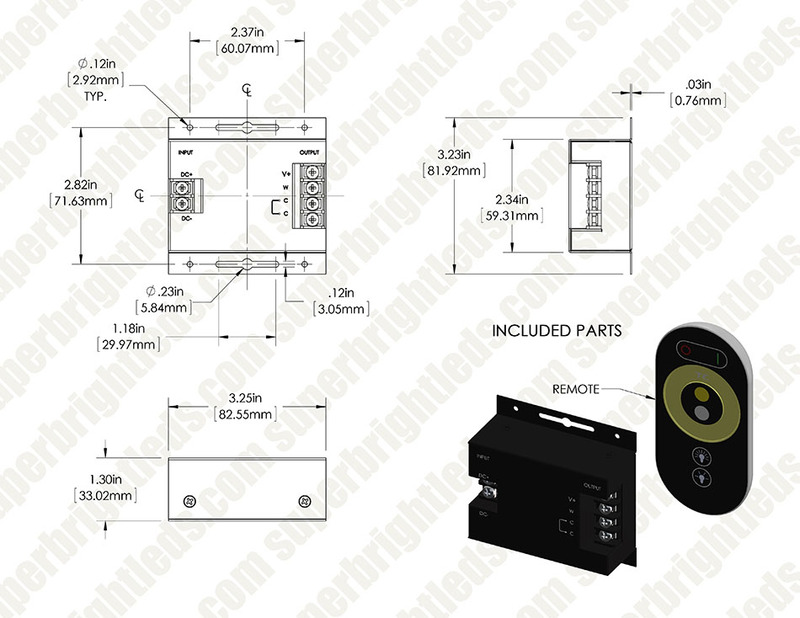 I would recommend these parts for a vanity light project or under cabinet lights. Only thing I might have done different was used the corner mount track to direct the light, but even facing straight they are bright enough.